In this essay, we explore how new technologies can be used to create new value for vacant industrial spaces in a Chinese context. In China, the challenge of meaningfully repurposing former factories is perhaps even more pressing than elsewhere. This is not only because of the sheer number and tremendous scale of China’s heavy and manual industrial plants but also the fluctuating demands of the international economy, stricter work and environmental regulations, high internal labour mobility, and the rise of an urban middle class with its own culture, lifestyle and spatial patterns. At the same time, in China, as elsewhere, we see the ubiquitous presence of all kinds of digital technologies in the urban realm, including mobile phones, wireless networks, casual mobile games, geo-locative data, and so on. And in China too, consortia of local governments and technology companies are trying to leverage the potential of these digital technologies to efficiently manage urban processes and flows. Such “smart city” policies attempt to create a better life for citizens. Yet citizens are rarely actively involved as co-creators of their cities. What roles might digital technologies play in making the repurposing of postindustrial heritage sites more meaningful for citizens? Can we create more awareness among the public of the functional, aesthetic and sociocultural qualities of these places? And, more importantly, can we design temporary or longer-term new-media interventions that involve people as makers and owners instead of mere spectators? 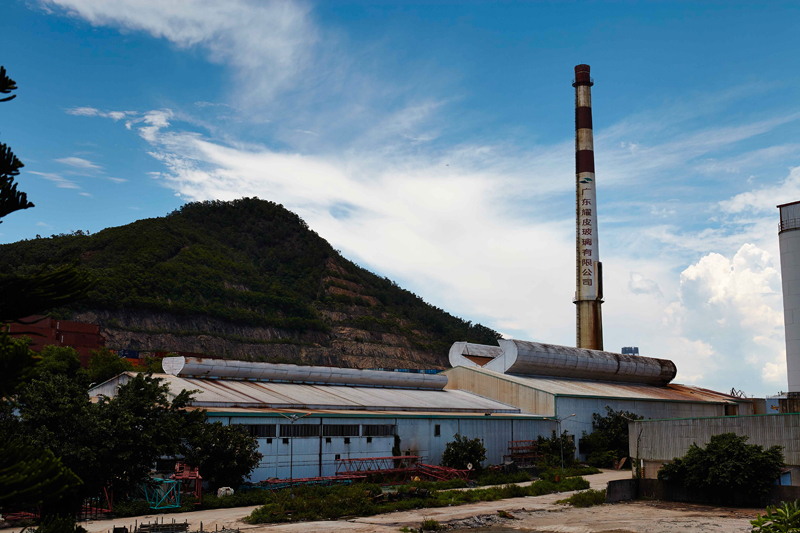 One such postindustrial location is the former Guangdong Float Glass Factory in Shenzhen’s Shekou area, one of the two designated locations for the 2013 Shenzhen Bi-City Biennale of Urbanism/Architecture. Shenzhen, in the Pearl River Delta, is one of the most rapidly developing metropolises in the world, growing from an estimated population of just over 300,000 in 1980 to an official figure of over 10 million in 2010. Today Shenzhen has lost its status as a special economic zone, a privileged position that allowed it to blossom. The city is attempting to transform from an industrial manufacturing centre to an postindustrial innovation hub, where information and knowledge will be the new productive resources. Shenzhen is a very young city, with an average age of 30 in 2006, according to the government’s census and statistics department. Many of its young people come from rural areas and are employed in high-tech production. In their free time, they convene in specific locations to network and play, creating a new urban youth culture. First, new media can be employed to bring out collective issues in new ways. Data research can both shed new light on existing issues and reveal previously hidden ones. It becomes truly powerful when data are used to tell appealing stories and people are allowed to connect to these narratives and become part of them through their own interactions with the data. Second, digital media allow for new ways of organising publics around collective issues. “Networked publics” are groups of people who are not necessarily organised around local places or situations and do not necessarily belong to the same social category, two traditional foundations for collective action. Instead, they use digital networks to convene – sometimes temporarily – around particular shared interests and derive a sense of identification from that. Third, digital media provide new tools for pooling resources. The notion of ownership as non-exclusive responsibility and stewardship implies that individuals should contribute to the collective. That can mean supplying money, time, space, knowledge, social networks, tools, skills, materials, ideas, management or leadership. When many people and organisations pool their resources, they establish complementary types of capital. It is crucial that others can see what each member is contributing to the collective in order to prevent the free-rider problem of people who only take and do not provide. A sustainable business model must also be developed to provide stakeholders who share resources a return on their investments. How do digital technologies allow for reciprocity and mutualism between stakeholders engaged in sharing? Fourth, new technologies of representation and interaction afford new ways of engaging citizens with communal issues. People usually need an initial trigger in order to relate to an issue and feel like co-owners of it. First, they need to be told about the issue (communication); then, a spark is needed to set them in motion (activation). How can digital technologies move people to get involved in something and keep participating? The visual power of data aesthetics can provide the initial spark. Digital storytelling tools can involve people for longer periods. Play, too, can engage audiences in new ways. Fifth and last, new media can deliver a horizon for action by serving as tools for directly acting upon an issue. Complex issues are sometimes abstract and may appear irresolvable. People need to feel that their involvement and actions matter. This often means interventions must have a situation-specific component. At this scale, people can see and understand their own actions and those of others. It is equally important to provide rapid feedback loops. People need to quickly see the results of what they do through interactive interfaces. Prototyping is a way of testing initial concepts with the public, allowing results to quickly emerge, and making adaptations if needed. For Made by Us, three Dutch media artists were invited to create new-media interventions that would open our imaginations to the possibilities present in former factory sites. Each has brought with him a particular technology and way of engaging in dialogue with Chinese partners. The media artist Sander Veenhof explores how new publics can be encouraged to engage with architectural heritage through augmented reality (AR) technology. AR overlays everyday reality with layers of visual information, affording many new opportunities for presenting and visualising information in an urban context. Using AR in festival events can help to engage new publics not just as consumers of information but also as active contributors of living memories. Niki Smit of the game studio Monobanda conceives innovative uses of play in the urban domain. His playful interventions could help to create a sense of place in postindustrial neighbourhoods and involve people with the issue of repurposing vacant spaces. In addition to being fun, playful interventions create a safe space for experimenting with potential alternatives and trying on the roles of other stakeholders as well as motivating and rewarding people for participation. Mark van der Net is an information visualisation creative who works to find meaningful uses for digital data and information. His data research brings out collective issues and helps people to take informed action based on real-time information. By presenting possible futures for the factory, all three makers open up spaces without necessarily filling them in. 1. Value is defined here not so much in financial terms but more in cultural terms. Postindustrial urban life revolves around experiences. There is great value in culture, as many creative-city pundits have shown. The most important question in all of our city-making efforts is how to create liveable and lively cities for the people who inhabit them. 2. Technologies themselves, however smart they might be, do not provide solutions. What matters is how they are used in a larger process. This is why we like to put forward the notion of ownership: it shifts the focus from technologically driven functionalism to the conditions needed to create value and change. 3. In connection with point 2, the proposed direction is less about the technologies than about a culture and attitude of ownership. It is through this notion that we explore how successful ways of creating value online in a spirit of do-it-yourself, collaboration, open source, participation and so on can be ported to urban settings. 4. Last but not least, in imagining new possible futures for the postindustrial factory, we observe an interesting parallel with current discussions in the digital media world about the rise of a new maker culture. Digital tools, distribution platforms, business models and collaborations are said to be contributing to a postindustrial revival of makership. This type of makership, the argument goes, is neither Fordist standardised production (“Choose any colour car as long as it’s black”) nor the globalised, placeless, just-in-time outsourced production mode of post-Fordism but a revival of craftsmanship, a return with a difference. The three media interventions of Made by Us do precisely this: they entail a reevaluation of situated work, show an appreciation for materiality, and are time- and site-specific; they always seek value in the uniqueness and difference of the intervention; they open our imaginations to virtual worlds in the sense of potential futures; and they seek to address people as active co-creators and owners of their environment.